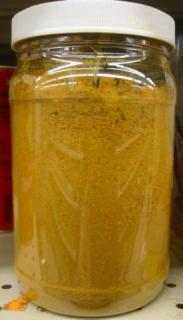 Don't throw away your curry jar; it just may keep you from developing Alzheimer's disease or another form of dementia. People from India and other cultures in the east where turmeric grows have a very low incidence of Alzheimer's, an observation which led to some recent mouse experiments at Duke University. 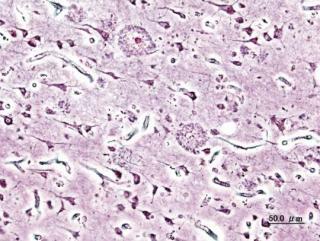 In the development of Alzheimer's and other forms of dementia, amyloid plaques are formed in the brain. Professor Murali Doraiswamy at Duke took mice that had these brain plaques and fed them large amounts of curcumin, a curry spice contained in the turmeric plant. The brain plaques in the mice dissipated. In another study, a diet high in curcumin appeared to prevent younger mice from developing the amyloid plaques. A healthy diet is considered, along with regular exercise, as preventative measures against dementia, and Doraiswamy does not suggest that a diet that includes curry would negate that, but that the three measures together might be an effective strategy to help avoid dementia. The next step will be to test human amyloid plaque in clinical trials at the University of California on people who have been diagnosed with Alzheimer's disease. Presenile Alzheimer's Dementia Onset Professor Doraiswamy presented his research to the Royal College of Psychiatrists at its recent annual meeting. Some members of the medical community are skeptical, saying that humans would have to eat more than 100 grams of curry to get a clinical dosage; however Doraiswamy suggested that two or three times a week in a sauce would be sufficient. More study will provide the answers, but in the meantime I'm eating a bit of curry every day in a salad or sauce -- curried tuna or chicken salad is delightful (add mayo, lemon juice, a dash of salt, pepper, chopped celery, and grapes). Maybe there's another reason that Indian people have far fewer cases of dementia than westerners? Any other studies out there? Fake, Fragrant Flowers: Great Idea? Thanks for the comment. You know, I searched all over for a publication of this Duke study and was not able to find it. There were similar studies done, however, as far back as 2004 that indicated the same link between curry and brain health, but the Duke study seems to have only been reported at the Royal College of Psychiatrists.